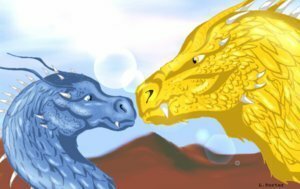 Glaedr and Saphira. . Wallpaper and background images in the eragon club tagged: eragon brisingr eldest dragon glaedr saphira. Awww, that's so cute! You're quite the artist!